Over the past 15 months, wheat farmer Kebede and his family were significantly affected by Ethiopia's worst drought in decades. Without a harvest, he was left with few seeds for the next planting season and feared for his livelihood and food source. Kebede was one of 1000 recipients who received seeds and fertilizer from a WEEMA initiative this past June. Thanks to the return of the rain and his hard work, his crop this year is bountiful. Not only will he be able to feed his family, the surplus will provide enough income to purchase a variety of high quality seeds that will yield an improved harvest in upcoming years. WEEMA staff have consistently followed up after distributing the seeds to make sure that Kebede has the necessary resources for a successful season. "These seeds and WEEMA support have made such a difference for my family. 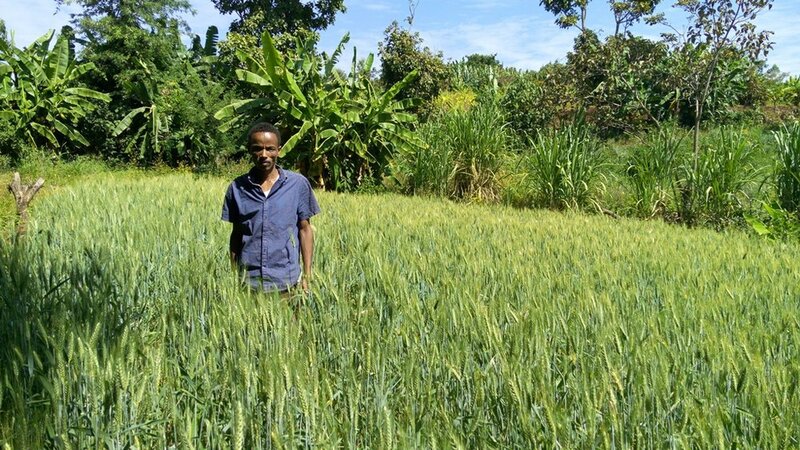 Farming is my life, and because of this assistance I am able to invest in the future of my fields," Kebede explains.